I don’t know about you, but I need to get beach ready! I’ve needed to get beach since 1985.I’m always about 20 pounds to hot. Anyone else? But guess what–there is no better time than now to begin. I have a great group on Facebook and on IG for support to lose weight, feel great and to eat well! It’s not just some group, k? 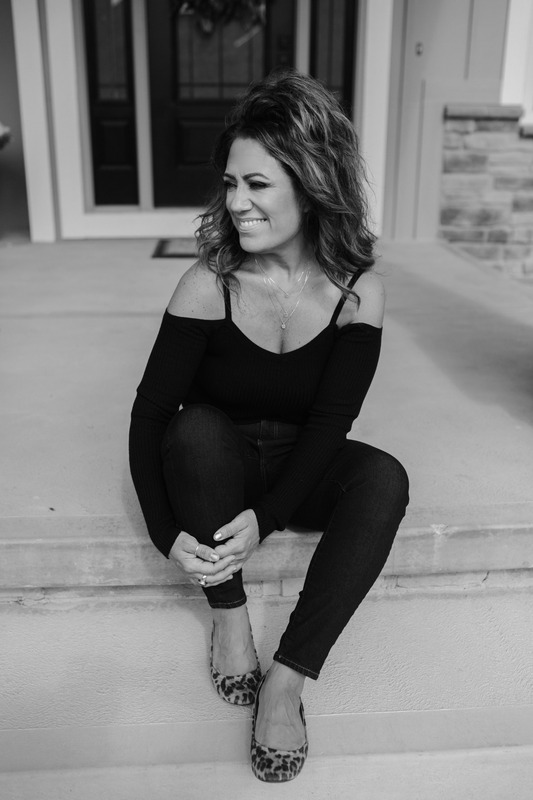 It’s live cooking videos, whole food recipes and accountability!! WE NEED IT–totally join us! 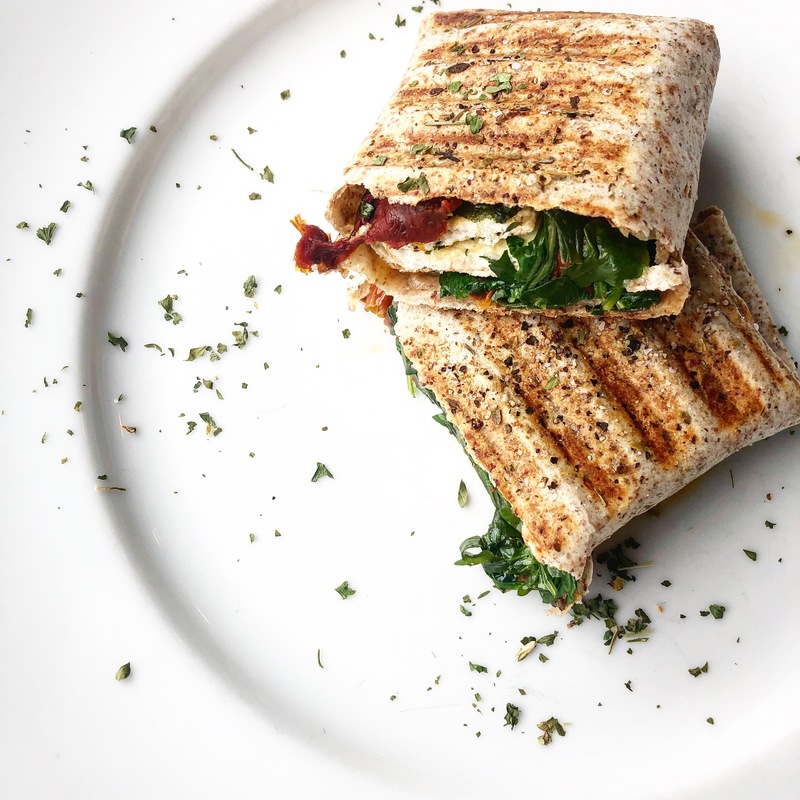 My first recipe is a copycat recipe from Starbucks–their spinach, egg white and sun dried tomato wrap and let me tell you…It’s better than theirs!! And only 204 calories! Perfect for breakfast! Or as lunch, dinner and snacks. Starbuck's copy cat recipe that I improved upon and it's absolutely delicious, guilt free, and only 204 calories! 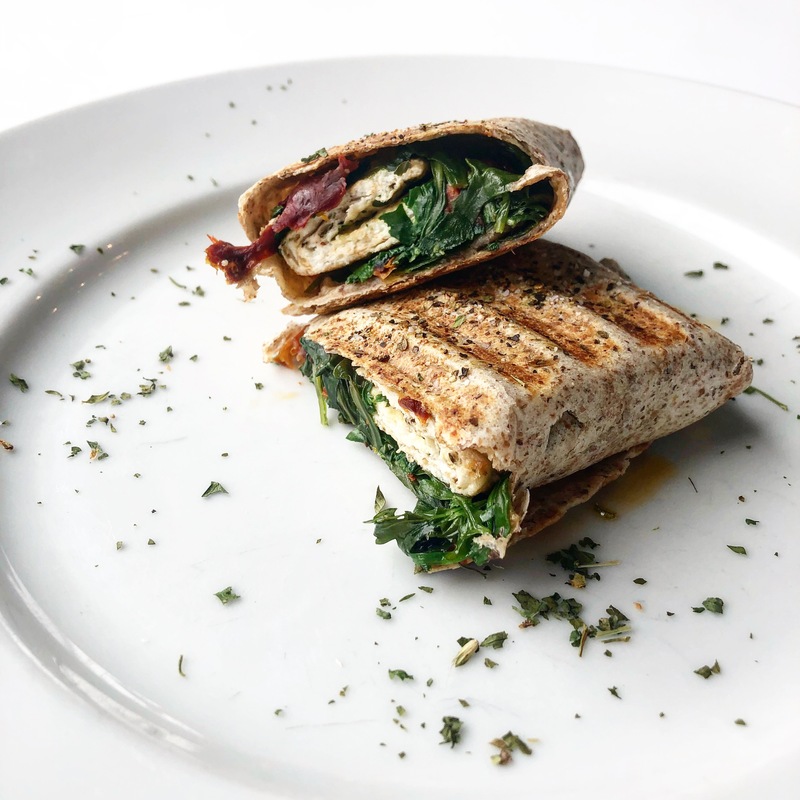 Seasoned egg whites, spinach and arugula, sun dried tomato all warm and wrapped up in a whole wheat tortilla and grilled up on the griddler. You're going to love this as part of your healthy diet! 1 whole wheat tortilla I bought mine from the health market that is only 100 calories. Warm a non stick skillet on medium-low and pour the whisked egg whites onto the skillet forming a thin layer. Allow to cook until almost cooked through and then fold once like an omelet and then again. Turn off the stove top and get your tortilla ready and spread out with the 1/2 tbsp. of chopped sun dried tomato. Place the egg white onto the wrap and wrap like a burrito, folding the two ends in and then rolling over until all is tucked and into place. Spray with olive oil spray and season with salt, pepper and granulated garlic. 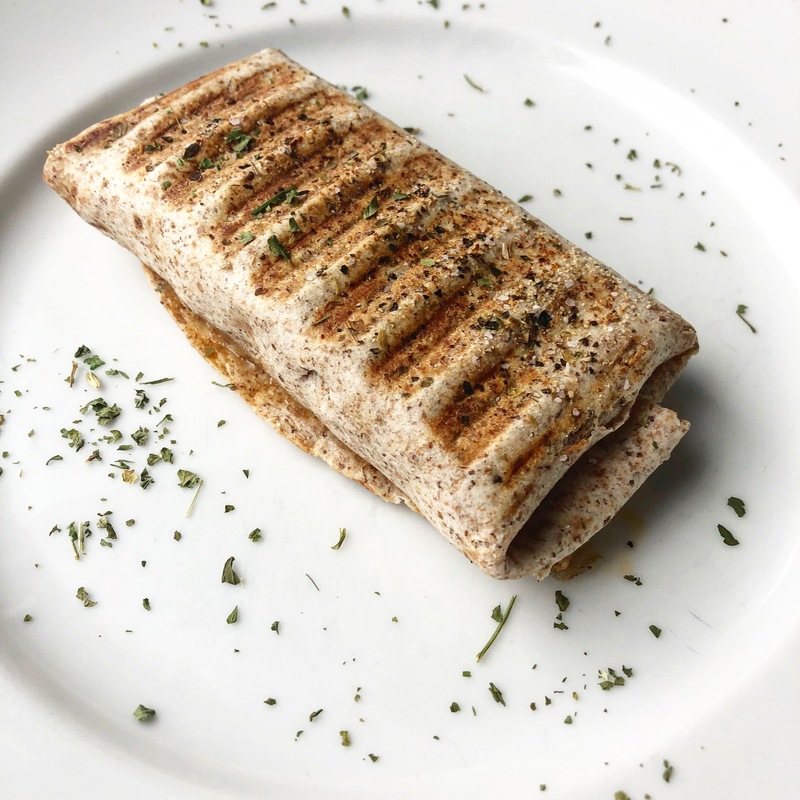 Place wrap onto a griddler and grill until toasted, hot and ready to eat! Place on your plate and sprinkle with dried parsley. You're ready to eat! 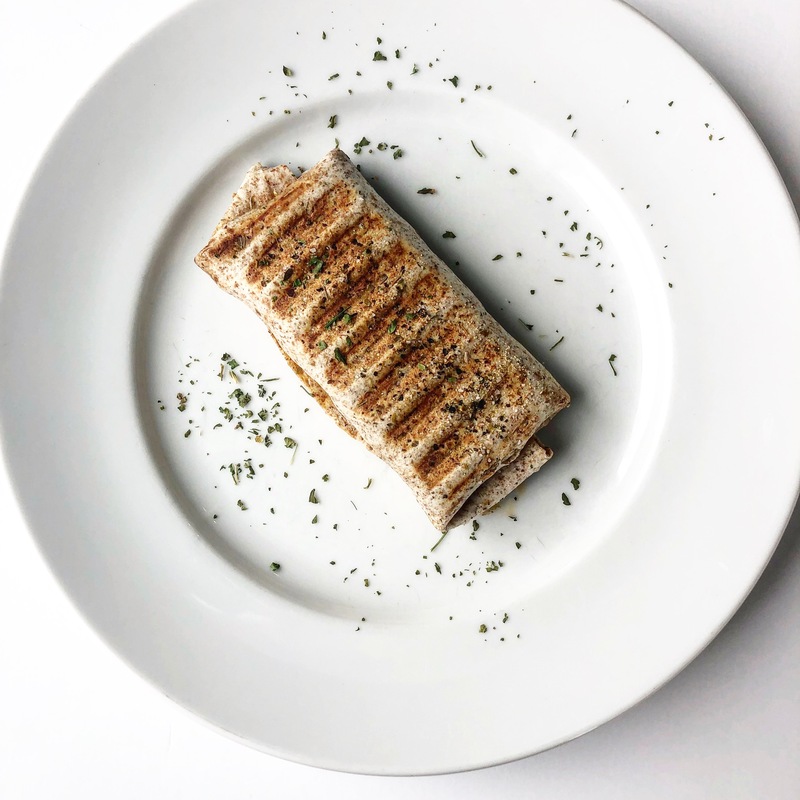 Make in advance up to the point of grilling them Unwrap and press in your griddler or simply microwave for a minute or until warmed through. Grilling it gives it crunch and is up--totally up to you on how you like to enjoy it!